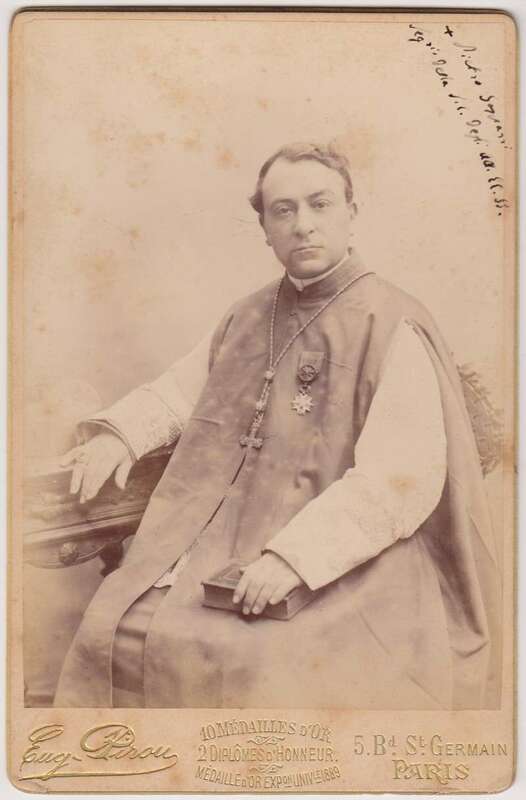 Pietro Gasparri (1852–1934) was an Italian cardinal who taught canon law at the Catholic Institute in Paris (1879–98) and was apostolic delegate thereafter in South America. After his return he was asked by Pope Pius X to direct the great codification of the canon law, and he was created a cardinal in 1907. In 1914, just after the outbreak of World War I, Pope Benedict XV made Cardinal Gasparri papal secretary of state. Pius XI retained his services, which he brought to a culmination in the Lateran Treaty of 1929, ending the Roman question, establishing an agreement between Italy and the papacy, and setting up Vatican City. He retired in 1930 and was succeeded by his pupil, Eugenio Pacelli, who later became pope as Pius XII. Gasparri is the author of a widely used catechism. The old photo of the Cardinal, featured here, was signed as Bishop. It is impossible to overestimate the work done by Pietro Gasparri in service to our Church. Pope Pius XI. Mussolini and Cardinal Gasparri signing Concordat. Mussolini leaving. Pius XI on balcony blessing people. Pius XI leaving Castel Gandolfo. People throwing flowers into path of car. Vatican radio station. Pius XI making first broadcast from Vatican station. Pius XI closing holy door with golden hammer. St. Peters at night. Pius XI blesses crowds at St. Peters. St. Peters as death is announced. Crowds kneeling. Cathedral of Notre Dame. Cuban Cathedral. St. Patrick’s Cathedral. New Pope will be Cardinal Pacelli seen here on U.S. trip in 1936.